Year 2007. My fourth wine, a 100% sangiovese aged for 22 months in french tonneaux. 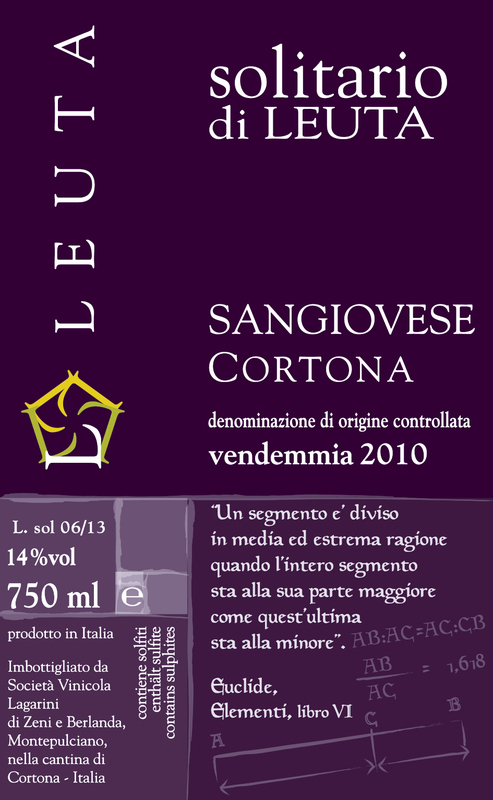 A grat expression of tuscan Sangiovese. At sigt the wine is deep ruby-red with very slight garnet shades; when smelled it expresses prevailing notes of black berries, cherries and violets combined with sensations reminding of tobacco and peat. When tasted it is warm and enveloping and the ripe expression inside the mouth, is expanded by sapidity whic gives also a long persistance. Year 2007: 2500 bottles. Vantage on the market 2009.